LONGABERGER GOLF CLUB, Ohio's top ranked public golf course, takes on a new name, THE VIRTUES GOLF CLUB. 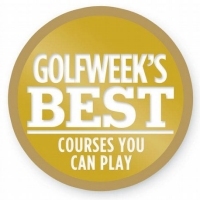 Course offers two round package as a celebration! Fairway the Magazine is Back! Golf Magazine Names Course 1st in Ohio , 56th in U.S.